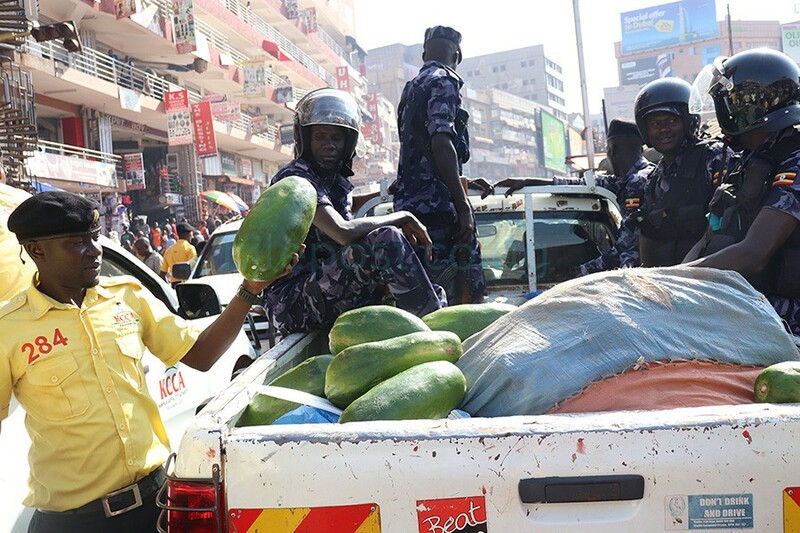 Police and the Kampala Capital City Authority enforcement team were on Monday engaged in running battles with vendors in a bid to move them off the streets. KCCA on Friday warned the public that it would clamp down on vendors for sanity to return on the city streets. 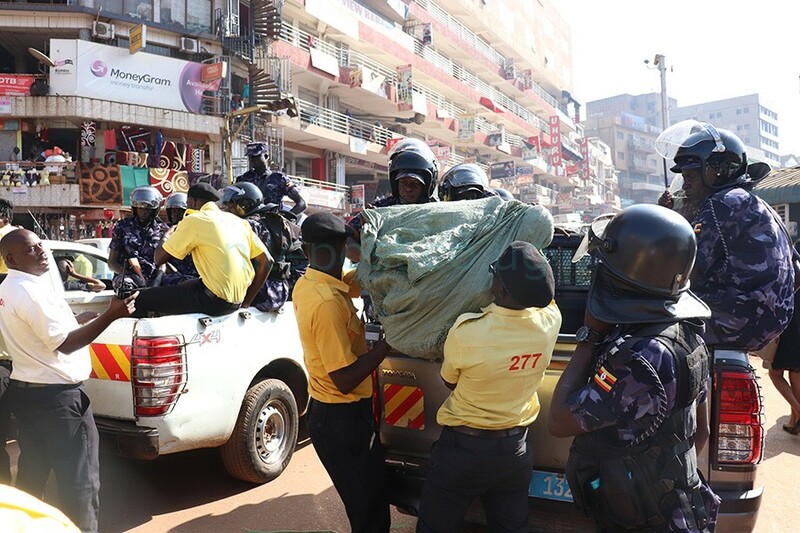 By 8am on Monday, pickups full of police officers and KCCA enforcement teams had hit the streets to comb them of vendors and a number of them were arrested. Speaking to NBS television on Monday morning, KCCA spokesperson Peter Kaujju defended the eviction exercise of street vendors saying it was meant to create order in the city. “Cities and towns world over have order and regulations of how people should live. We have put in place facilities to settle these people,”Kaujju said. However, speaking to the Nile Post, a number of vendors blamed KCCA for the mess in the city noting that a number of them were previously employed in Nakivubo Park Yard market which was recently demolished to pave way for construction of arcades but have since remained unemployed. “We were registered but the biggest percentage of us have never been resettled,” said one Wineeza Kareera. The vendors say forcing them off streets would lead to increase in crime in the city due to unemployment. 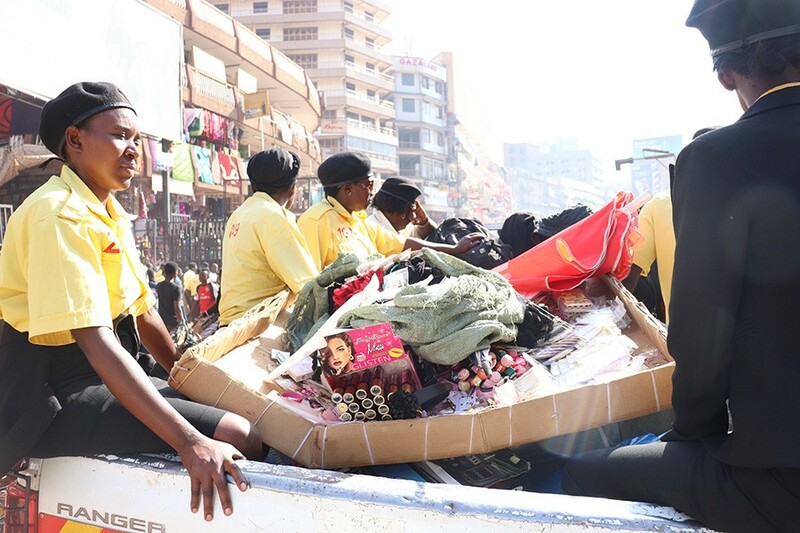 Following KCCA Executive Director’s announcement that she would resign her job, the number of vendors on Kampala streets increased as the body’s enforcement team relaxed on their operations against them. 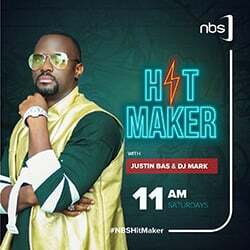 Last week, the minister in charge of Kampala, Beti Kamya, ordered the vendors and hawkers off the streets of Kampala before directing city authorities to apprehend the offenders. “The public has a duty to abide by the set regulations. We cannot have a well-organised city with everybody ignoring laws. KCCA law enforcement team is therefore directed to scale-up law enforcement immediately,”Kamya ordered. The issue of street vendors has caused headache to KCCA leaders for a long time. Kampala Lord Mayor Erias Lukwago however said the operation by KCCA was illegal because the vendors are on the streets legally. “What they are calling a lawful operation is not correct. Street vending is a lawful practice but should be regulated. You cannot evict everyone enormously,”Lukwago said. Lukwago said there are gazette areas like Ssebaana Kizito and Allen roads where vendors are supposed to be settled but noted that KCCA has failed to implement the program.